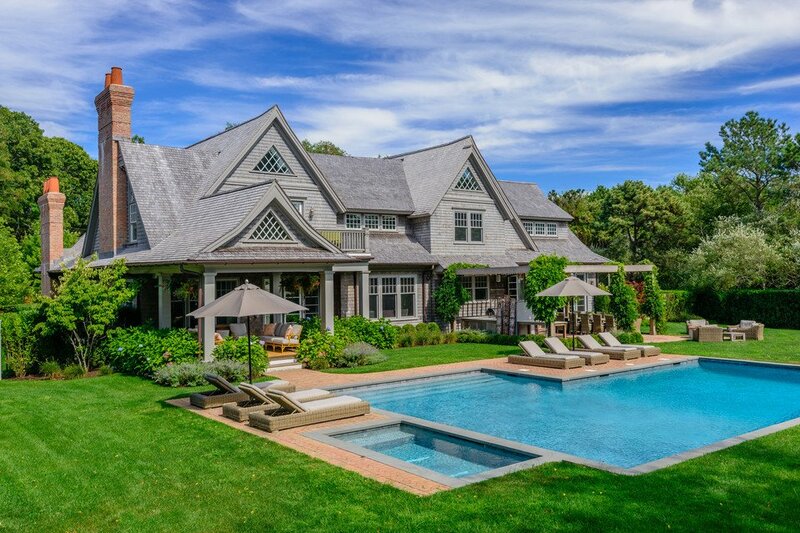 Katie Lee‘s newly released cookbook “Endless Summer” is all about the quintessential Hamptons lifestyle, and after one look at her stunning Water Mill estate–complete with a wine cellar and outdoor entertaining area of chefs’ dreams–it’s easy to see why she was inspired. 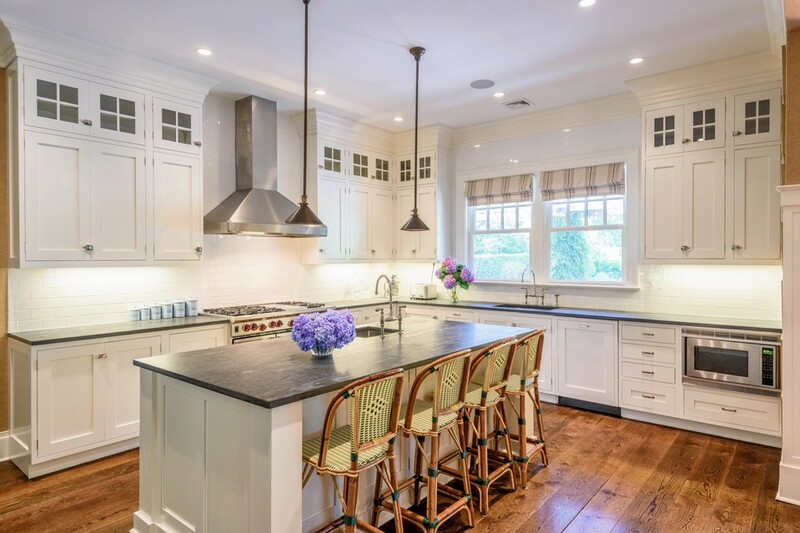 The Wall Street Journal reports that the star of the Food Network’s “The Kitchen,” and ex-wife of Billy Joel, has listed the 6,325-square-foot, impeccably decorated (courtesy of designer Nate Berkus) home for $6.5 million. She purchased the two-acre estate for $3.5 million after splitting with Joel in 2011, so she’s looking to make quite the profit. 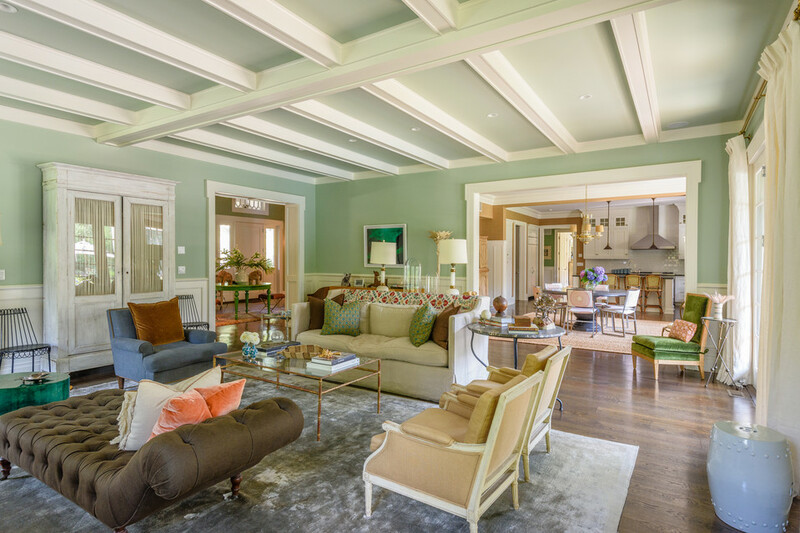 The home opens to a double-height entry foyer that leads to a massive first-floor living area with 10-foot ceilings, beautiful woodwork, oversized windows, and beamed ceilings. 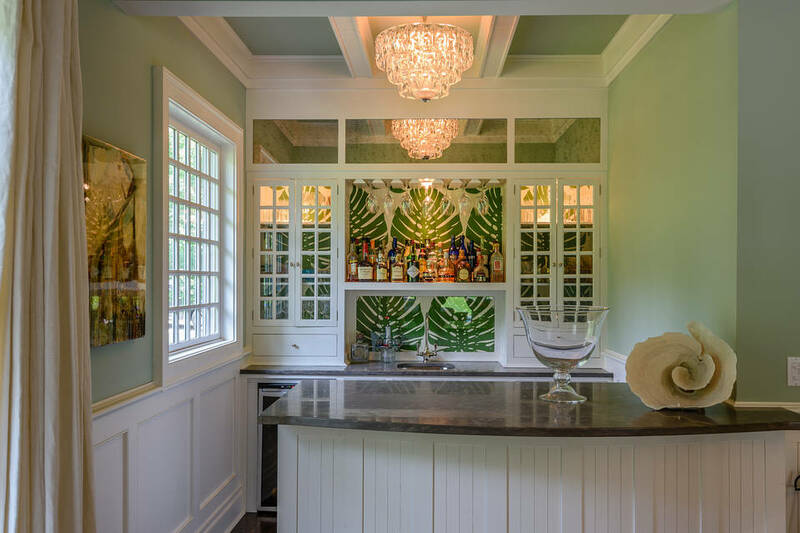 Off the living room is a classy mirror-backed bar that looks like it came straight out of a Tahitian hotel. Also on the first floor is the kitchen, formal dining room, guest suite, and cozy library featuring a stone fireplace and vaulted ceilings. Of course the stainless steel kitchen is camera-ready and loaded with chef perks like a butler’s pantry, third oven, and restaurant-grade stove. Other extras include a wine cellar and home theater. 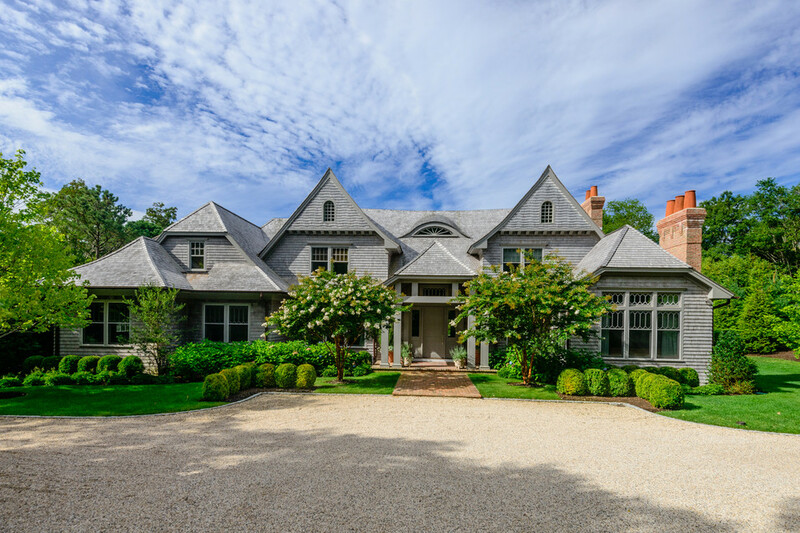 The second floor has an additional four bedrooms in a separate wing, as well as the super-sunny master suite, which has its own fireplace and balcony. But of course it’s the outdoor space that takes the cake at this summer-entertaining-loving celebrity’s home. Under a pergola lined with twinkling lights is a brick patio with a commercial-grade pizza oven, refrigerator, and Wolf grill. The dining table seats ten, and there’s a lounge area near the fire pit with more seating. There’s also a covered porch and a 42-foot-long heated pool. In an email to the Wall Street Journal, Katie Lee said she’s decided to downsize, noting “I am working more and I want to simplify. 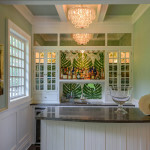 I have always enjoyed the process of renovating and decorating and I’m ready for my next project.” Before moving into this home, Lee lived in another impressive abode with Billy Joel over in Sagaponack, so we’re curious to see what her idea of downsizing is.